Jason Gleghorn has received a Basil O'Connor Starter Scholar Research Award from the March of Dimes. 8:26 a.m., Feb. 18, 2016--Congenital diaphragmatic hernia (CDH), a birth defect where a hole in the diaphragm allows abdominal organs to move into the chest, occurs in about one in every 2,500 live births. With the contents of the belly taking up valuable space in the chest cavity, the condition leaves little room for the lungs to grow and develop. About 45 percent of babies with CHD do not make it to term, 10-20 percent that are born die within weeks, and the remainder have significant respiratory challenges. “Current treatment options have had limited success, as the lack of airway branching is driven at least in part by the mechanical environment rather than a specific genetic abnormality,” says Jason Gleghorn, assistant professor of biomedical engineering at the University of Delaware. “Limited understanding of the mechanical factors that guide lung growth and airway branching is hindering the development of effective treatments. Gleghorn, whose research focuses on the physical forces that regulate tissue and organ development, hopes to change that. He recently received a Basil O’Connor Starter Scholar Research Award from the March of Dimes to test his hypothesis that dynamic fluid forces within the developing airways guide lung development. Gleghorn was one of just 10 awardees selected from an international pool of 85 invited researchers submitting proposals to the program this year. The award, “Lumenal Fluid Movements Regulate Airway Branching Morphogenesis,” will enable the development of tools to measure fluid flows within the developing airways to determine how fluid forces spatially activate gene expression and protein production in different regions of the growing lung. “Our long-term goal is to provide crucial insight into the mechanisms that guide lung development and provide novel therapeutic targets for the treatment of CDH,” Gleghorn says. 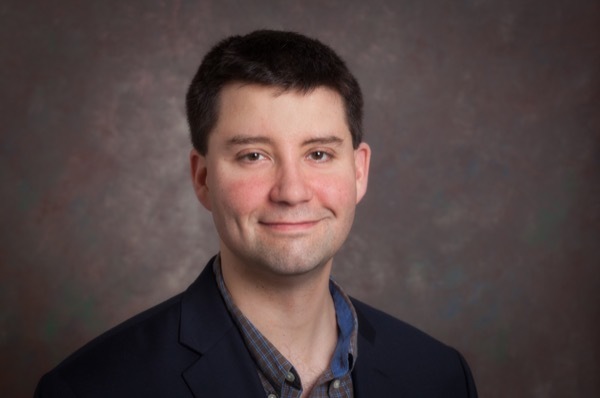 Jason Gleghorn joined the UD faculty in September 2014 after completing postdoctoral fellowships at Cornell University in microfluidics and at Princeton University in molecular and developmental biology. In May 2015, he was awarded one of 35 Ralph E. Powe Junior Faculty Enhancement Awards from Oak Ridge Associated Universities. In addition to these awards, Gleghorn has funding from the Molecular Design of Advanced Biomaterials COBRE at UD and the University of Delaware Research Foundation, and he has been awarded a three-year grant from the National Science Foundation to investigate development of the vascular system, kidney, and mechanical contractions of the lung airways, respectively. The March of Dimes was established in 1938 by President Franklin D. Roosevelt, initially to fight polio. Today, the foundation focuses on health problems in babies, especially premature birth, birth defects and low birth weight. The Basil O’Connor Starter Scholar Research Awards  created in 1973 and named for the first March of Dimes chairman and president  provide funding to young investigators with promising new research related to the organization's mission. The foundation’s investment in research has, since 1954, led to 13 scientists winning the Nobel Prize, including three recipients of the Basil O’Connor award.